I belong to a very poor family from a small village. Born with a cleft anomaly, I was considered a bad omen and my grandmother refused to see my face ever. Constant tortures and taunts from relatives, classmates and others made me depressed and insecure. My father worked hard to try and earn money for my treatment. We did a few surgeries but it only complicated things. We had almost given up home, and that’s when we visited Nitte Meenakshi Institute of Cleft and Craniofacial Surgery, a charitable specialised cleft centre which works in collaboration with Cleft Children–International (CCI). We met Dr Vikram Shetty and I also heard of Prof. Hermann Sailer, the main person behind the charity and the surgical expert whose techniques Dr Vikram used in his treatment. 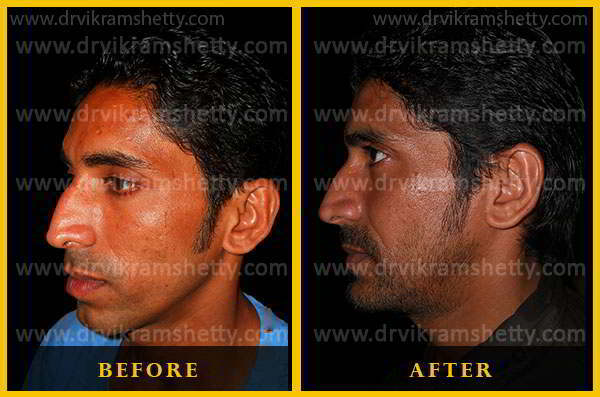 I was 17 when Dr Vikram Shetty redid my bone grafting surgery and followed it up with regular periodic ortho wiring procedures. He used the latest novel technique of Anteface Rotation Esthetic Surgery, and now my friends say that I look attractive. My parents are also happy and my relatives are more polite to me. I am also happier and much more confident with my transformed look. I hail from a small town in Calicut (Kerala), where people are shy and old-fashioned and yet my dream was to soar high, and become an airhostess. The only hindrance in my path was my ‘gummy smile and short chin’ that made me the laughing-stock of my town. With my parents’ support and the right guidance and treatment from my doctor, I now have the last laugh. I am working for Air India and I am awaiting a call from Emirates Airways. There is no substitute for sincerity, dedication and hard work, but beauty is the unfair advantage some of us have over others. This I learnt during my years as a consultant. Following my weight gain, I had physiological problems like sleep apnoea and breathing difficulty. Now, thanks to a surgery on my jaws and nose, I have lost weight, look better, sleep better and feel confident to tell my patients what they require. 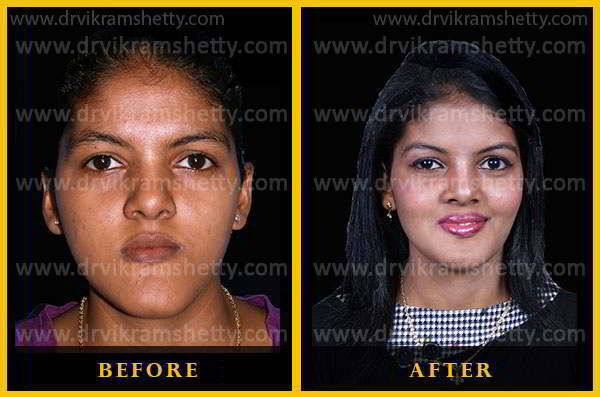 I never say I had cosmetic surgery, instead that I underwent a life-saving surgery. Being an average girl from an average family, I was always shy and self-conscious. I had never visited a beauty salon all my life. But when I joined a dental college, I realised how important looking attractive was. The class would look at me every time professors talked about jaw discrepancies. Now, after the surgery and a thorough grooming session, I feel confident, and as good as – or better – than anyone. Born second to a fair older sister, I was constantly pitied, patronised and underestimated by family and friends alike – all because of a jaw that I felt almost touched my chest! I hated my life where nothing seemed to be going right for me. My facial palsy just added to the asymmetry. 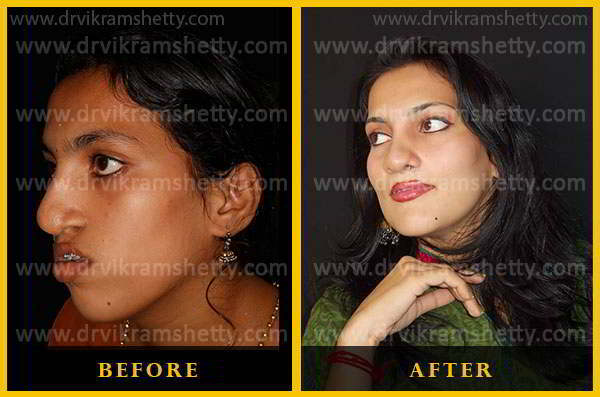 I heard about Dr Vikram Shetty and his work from my friend who is now a model because of him. I was determined to change my fate and destiny. Now, my sister wishes she had my face! For a banker by profession, the importance of sleep can never be over-emphasized. I used to be exhausted through the day and it affected my output at work. But it wasn’t until my wife started complaining of sleeplessness due to my snoring that I decided to do something about it. I can’t explain my astonishment when the doctor attributed all my problems like exhaustion, irritability, lack of concentration and lethargy to Obstructive Sleep Apnoea. But diagnosing my problem was only half the battle as even after trying a large number of conservative therapies like splints, breathing machines and other appliances I was still miserable. 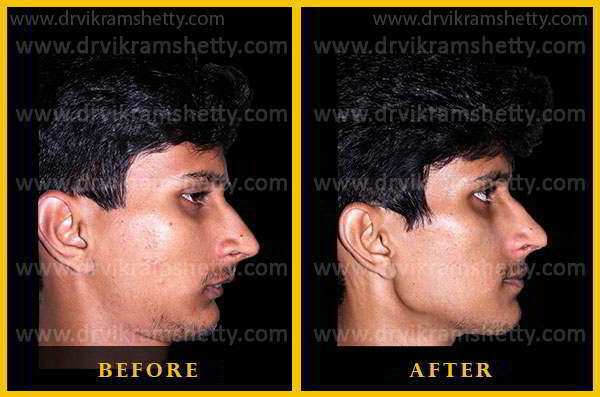 It was then that my ENT surgeon referred me to Dr. Vikram Shetty who advocated a Jaw surgery to correct my snoring. Though my initial reaction was, ‘At this age?’ I can now say that it was one of the smartest decisions I ever made. Today when people tell me I am a different person, I tell them I feel I am reborn. If someone says looking good is only for actors and models, they are shying away from the truth. Everyone sees a hero in a good looking person and an untrustworthy villain in a bad looking person. And my life is a testimony to this. A young businessman trying to establish himself in Thane, I was not taken seriously, faced rejection and was distrusted. It was when I was at my wit’s end and my friend joked that it was all about my face, that I considered doing something about it. Much against my parent’s wishes I consulted Dr Bhumkar, an ENT surgeon to get my nose corrected as I assumed that was the only part of that could be changed. 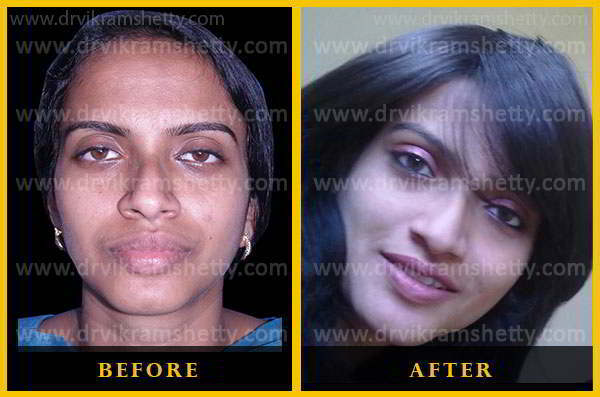 He introduced me to Dr Vikram Shetty who changed my whole perception of beauty and gave me a whole array of options. His frank and clear guidance helped me make up my mind and I decided to invest in myself. If I had to talk about the one step that changed my life, it would be the orthognathic and rhinoplasty surgeries that I underwent. It’s not just my looks that have changed, but my confidence in dealing and negotiating with people and my outlook of life, beauty and happiness. I have always had a keen eye for beauty and was conscious of my nose as I felt it was too big for my face. I had taken consultation with a lot of doctors who gave a wide range of confusing options ranging from injections and fillers for other parts of the face. A few even suggested reducing the size of my nose but I wasn’t convinced with the treatment options suggested. It was by luck that I was introduced to a caring and compassionate Dr Vikram Shetty who was patient enough to hear me out and understand my aspirations. When he explained the concept of symmetry and the concept of Golden Proportions, for the first time I felt I had a doctor who understood me and was sure of what I wanted. The final result was far beyond my expectation also and it kept getting better. My friends who initially thought that I was crazy to undergo a surgery were now asking me how I thought their faces could be corrected. 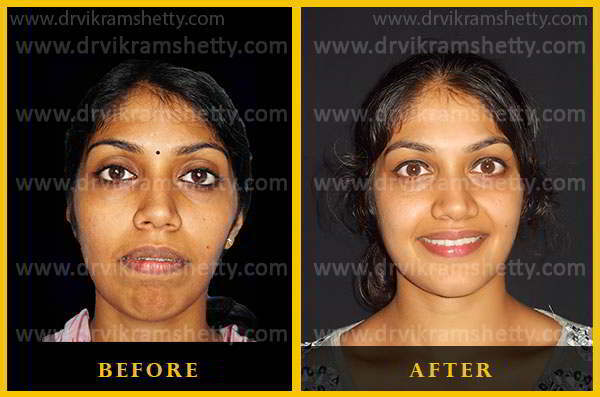 To date 4 of my friends have undergone surgery at Dr Vikram Shetty’s on my suggestion. International quality services now in your city. Dr. Vikram Shetty operates in the city closest to you, maintaining the highest standard and strictest of ‘Safe Operating Procedures’. Call +91 98441 33252 now to book an appointment. At Clinic Golden Proportions we celebrate the spirit of individuality. Modern science helps us embrace the endless possibilities inherent in the human form, and donning the garb of an artist, we invoke the essence of beauty that lies in you. Using state-of-the-art systems and experienced specialists in an environment free of prejudices, we offer a whole new beginning – a complete package at your disposal, just a phone call away. 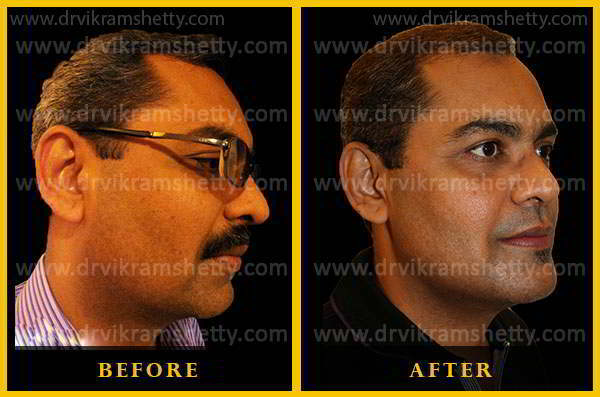 You can now meet Dr. Vikram Shetty in Mumbai, Cochin, Mangalore, New Delhi, Kolkata and Bangalore. You may call on +91 98441 33252 for additional details. Copyright 2014. 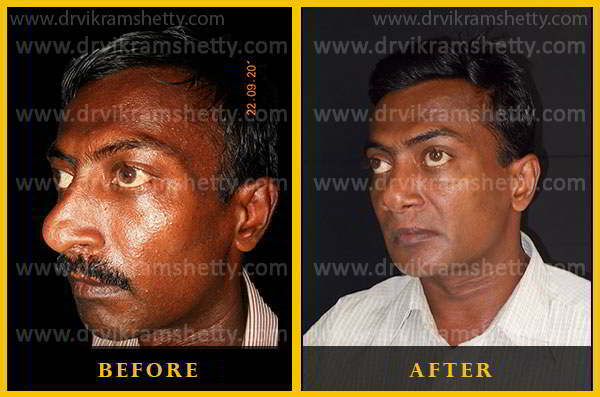 Dr. Vikram Shetty.